"Reincarnated" Child Catches His Own Killer. If the tales recounted in German therapist Trutz Hardo's tome, "Children Who Have Lived Before: Reincarnation Today," are to be believed, then one particularly precocious 3-year-old has led police to the body of his murdered former self. Along the Syrian-Israel border, a toddler recounted to his people that in a previous life he had been murdered. This didn't shock his family and community, though, as reincarnation is a part of daily life among the Druze, an offshoot religion of Shia Islam that incorporates other philosophies and religions as well. It is common for the birthmarks of newborns in this community to be scrutinized as evidence of wounds from a previous life. In the boy's case, he told his people how he had been struck and killed by an axe to his head. The villagers took him around in hopes that he could tell them where he once lived. The boy said he could also remember the first and last name of his killer. In demonstration, the small child went up to a man who would otherwise be a stranger and asked if his name was... Puzzled, the man replied that was, indeed, his name. The boy continued, "I used to be your neighbor. We had a fight and you killed me with an axe." The boy then announced that he knew where his body was buried. The village followed the boy to a simple cairn of stones, beneath which were the remains of a man with a severe wound to the front of his head. The boy then led them to where the axe was buried. Under the onslaught of such startling revelations, the killer confessed. Is this fourth-hand story to be believed? Is reincarnation real? Or did the boy, in fact, possess some type of post-cognitive gift that allowed him to glimpse past events that he would otherwise never have witnessed? 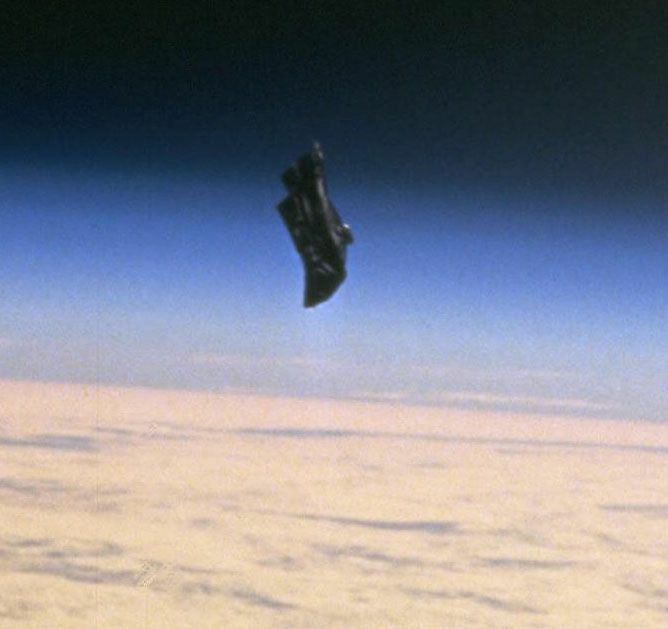 For some time now, the legend of The Black Knight Satellite has floated through the literature on UFOs and other Forteana. The myth that has arisen over the years is of an object of unknown origin that circumnavigates a polar orbit--and has been doing so for 13,000 years. ly an aggregate of half-truths and fantasy. Legend has it that in 1899 Nikola Tesla received a strange, repeating radio signal that he believed originated from beyond Earth. In 1954, before humans had ever launched a satellite, UFOlogist Donald Keyhoe was reported as saying the Air Force had detected two orbiting the planet. A few years later, the Navy (according to some vague sources) detected a dark object in a strange orbit, but determined it was merely a piece of the damaged Discoverer VIII satellite casing. Scottish writer Duncan Lunan concluded in 1973 that radio data collected by Norwegian researchers rendered a star chart to Epsilon Bootis in the Bootes constellation. Lunan believed a 12,600 year old object orbiting Earth was transmitting these aberrant signals. Eventually Lunan reconsidered his interpretation of the data and retracted his hypothesis, but not before it became ingrained in UFO literature. In 1988, the first shuttle mission to the International Space Station (STS-88) snagged an image of what some considered an alien artifact (possibly Erich von Daniken's "Pakal Spacecraft" ), but was likely a thermal blanket inadvertently jettisoned during an extravehicular walkabout. Over the years, these stories have coalesced into or otherwise bolstered the idea of an alien probe that orbits our planet daily. 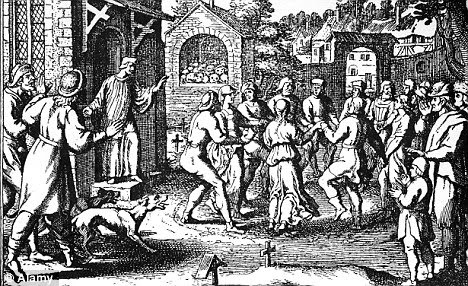 In the summer of 1518, the town of Strasbourg in France was literally dancing in the streets--and no one could explain why. It seemed a strange sort of plague had taken hold of the city, beginning with Frau Troffea. Within a week more than 30 townsfolk were dancing in the streets. Within a month, that number swelled to 400. These men and women were dancing night and day to the point of exhaustion. Some began suffering heart attacks and strokes. Medical men were called in and came up with a sound solution: build them a stage and strike up the band! Explanations range from spiritual ecstasy or the much-abused "mass hysteria" to an outbreak of ergot poisoning, the latter being a type of mold that affects grains and, if ingested, can cause hallucinations and seizures. Eventually, those dancers that survived slowly began to leave the perplexing promenade and life returned to normal, leaving us scratching our heads the weird little dancing plague of Strasbourg, France. In early 2012, a 4chan user posted a steganograph (a way to conceal data within code, text, images...) that said someone or something called Cicada 3301 was recruiting intelligent people. It's your classic White Rabbit trope, but if you could make it beyond the straight-forward Caesar cipher in the text, you would begin to unlock deeper, more technical layers of the puzzle and eventually find yourself...??? And that's the question. More puzzles followed and before long, like Slender Man before it, Cicada 3301 was a 4chan celebrity. Some claim that they solved the seemingly unsolvable riddles and received e-mails from the entity, but beyond that it isn't clear what winners have received. Others posit that Cicada 3301 is a front for information security firms or even government agencies. The ability to crack complex codes is in high demand. Or maybe it's not one person or group at all. Maybe it started out as a single poster with a puzzle and then others added their own under the same name. The reward being little more than knowing you could solve a complex puzzle. Here's a topic for you paravestigators... Clients: Must or Mistake? Let me know your thoughts on the concept of taking on "clients". Is it a distraction to real work? If clients are seeking help, is there any to be given if you're a scientific team? Haven't been posting much lately because, frankly, there hasn't been much worth writing about. 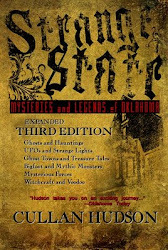 I am still around though and much more active on the facebook page. If you aren't already following me there, here's the link FACEBOOK. 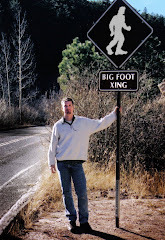 I post links to strange stories and chip in with my own two cents. Check it out.